There are lots of great coffee spots in Chattanooga, but these are our favorites. 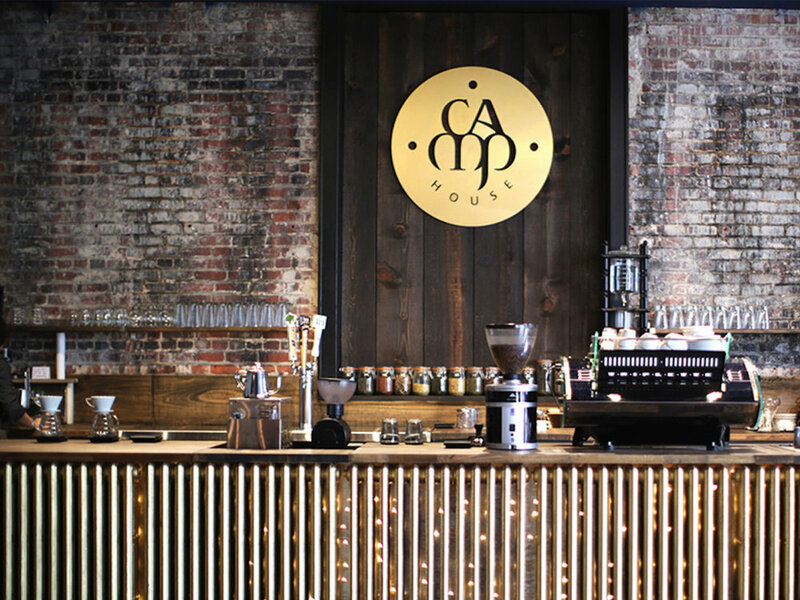 Known as "Chattanooga's living room," The Camp House is near and dear to Lexi's heart as it was the first coffee shop she visited upon moving to Chattanooga. They brew sustainably sourced Mad Priest coffee, a local coffee roaster with a mission that also employs refugees, and have lots of great food options on the menu. The setting at the Camp House is incredibly warm and welcoming. Grab a seat on one of the couches and watch as the CH comes alive with people and culture! 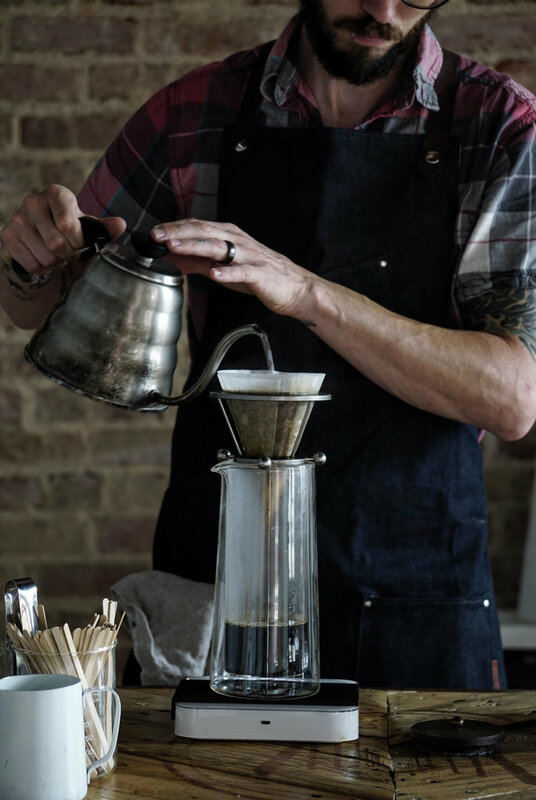 Known for their incredible cold brews, this local coffee roaster is a must experience for any visiting coffee connoisseurs. A number of other local shops serve their roast, but we think it's worth checking out the spot where all the magic happens. Located in the Southside on Main Street, it's super bicycle friendly - so if you have one, ride on in. You can check this local coffeehouse out at two locations - the original spot in Southside and the new spot in Northshore. Both spots offer a full espresso menu, drip coffee, Kyoto style cold brew and slow bar options. They have recently started roasting their own coffee at the Northshore location and also offer Velo's Niterider Nitro cold brew at both locations. The food menu is rather robust, catering to everyone from vegan to paleo. 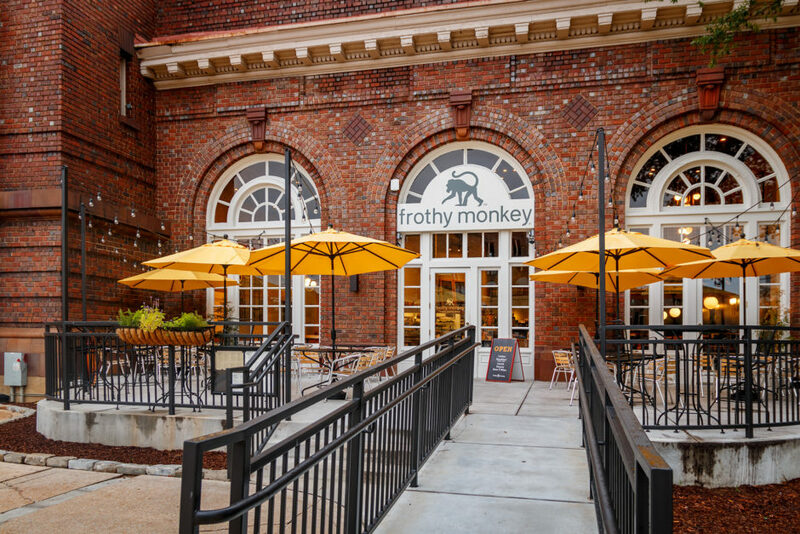 We have our neighbors to the north to thank for this one - Frothy is a Nashville original, but we think the Chattanooga location in the historic Choo-Choo terminal does it better. It's right next door to one of our favorite restaurants (Stir), and this place is also very grand - you can appreciate the history everywhere you look. Easily the most robust food menu of any of the coffee options, people often go here for dinner and casual hangs. Ian Goodman could very well be the premier coffee connoisseur in all of Chattanooga - he helped pioneer 3rd wave coffee here in the mid-90's (before it was cool). He's kind of a legend, and we love that his reputation and standards for excellence don't yield the snobby culture you'll find at other places around the country. While the coffee is roasted in the historic St. Elmo neighborhood, the coffeehouse is part of the very happening Warehouse Row downtown, so you can check out Lulu or Anthro while you sip. Pronounced "Plus Coffee," there are now a couple different locations to choose from. We recommend the original in St. Elmo. The place is cozy and welcoming, and you can feel the good vibes as you walk in the door. Like motorcycles? 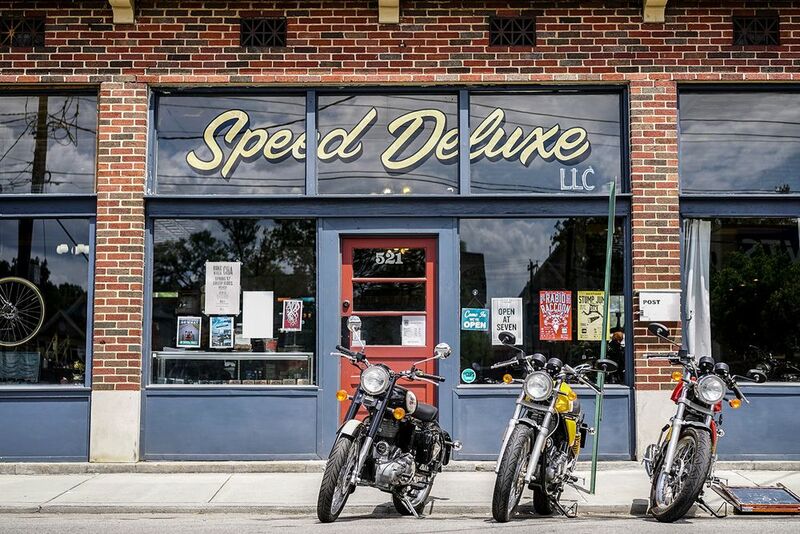 This place specializes in repairing, restoring, and customizing vintage motorcycles. And... it also features a coffee bar. Our friend Scott is passionate about serving only the best locally/regionally roasted coffee. It's a unique spot with lots of charm. Check them out when you're around the Northshore.